The owner says all equipment work as designed and it is in wonderful condition. The engine runs as expected with plenty of power for this Nitro. It will shot you out of the hole and will turn on a dime with the newer 2017 Hull design. Stock #169520 Very nice and well maintained 2017 Nitro Z18! Ready to fish! Reason for selling is not using. The overall condition of the boat is very good. The boat was not cleaned, so the pictures do not do it justice. All systems are operational and there are no mechanical issues. The seats and carpet are in very good condition and just needs cleaning. Engine hours unknown. 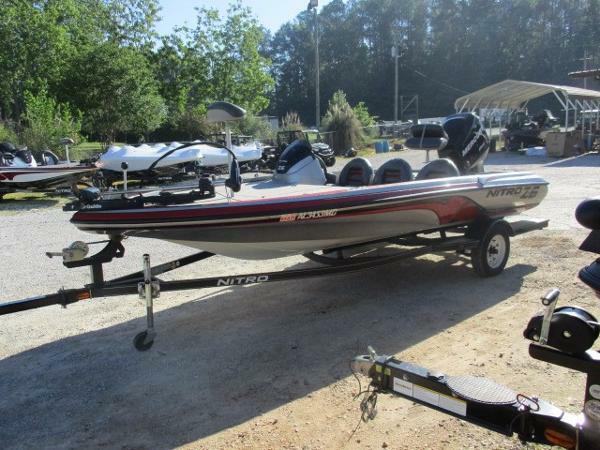 Stock #171255 Very low hours, like new, excellent condition, trolling motor and ready to fish! 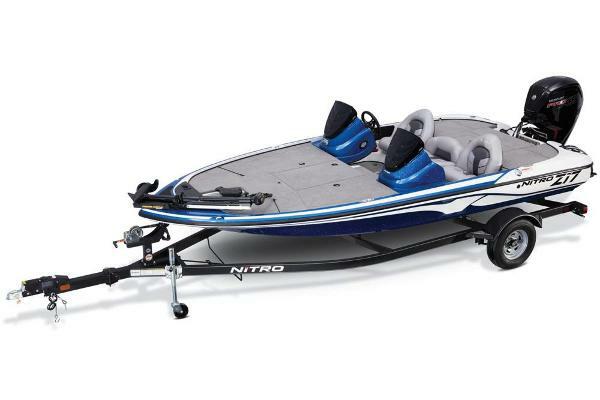 If you are in the market for a bass boat, look no further than this 2014 Nitro Z-6, priced right at $18,650 (offers encouraged). 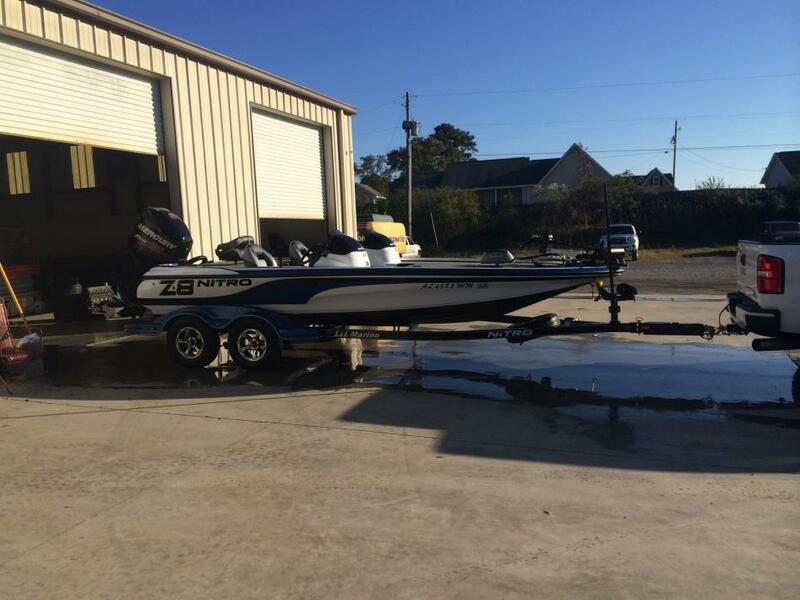 This boat is located in Falkville, Alabama and is in great condition. She is also equipped with a Mercury engine. Reason for selling is not using. 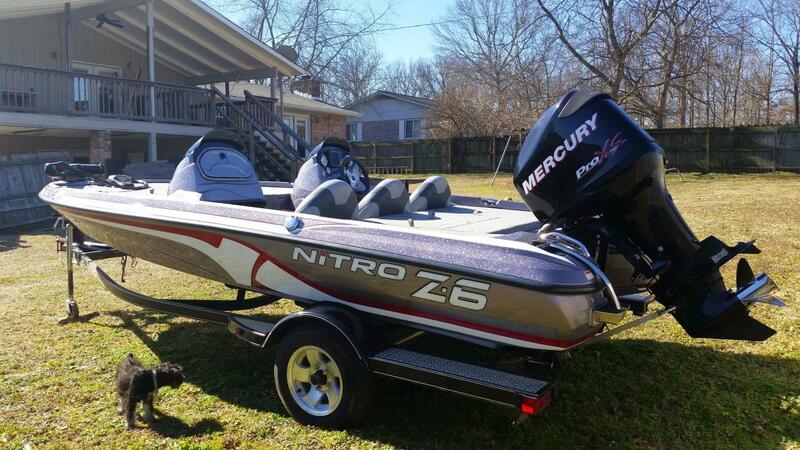 2011 Nitro Z-6 2011 NITRO Z6 WITH MERCURY 115 PRO XS AND TRAILER..INCLUDES LOWRANCE HDS 7 WITH STRUCTURE SCAN, LOWRANCE MARK 5, ON BOARD CHARGER, STAINLESS PROP, 12 V TROLLING MOTOR....ONLY 90 HOURS..GOOD CONDITION...LOCAL TRADE In Reboarding ladder 34-gal. (138.70 L) aerated aft livewell w/timer, divider & pump-out system Port & starboard aft lockers w/drop-in boxes molded to accept tackle trays 3-across seating w/steps to aft deck & helm & buddy seat storage w/drains Passenger rod storage w/hold-down strap 2-bank, 4-amp battery charger Flush-mounted Lowrance Mark-5x fishfinder Step to bow deck w/insulated cooler Center bow rod/gear locker for rods up to 7' 6" (2.29 m) long Port & starboard bow lockers w/room for rods up to 7' 6" (2.29 m) long Bow bicycle seat & aft folding fishing chair Bow panel w/tilt control MotorGuide 12V, 54-lb. thrust foot-controlled trolling motor Custom-matched trailer w/GALVASHIELD corrosion protection, swing-away tongue & EZ lube hubs You want to fish more, become a better basser and start hitting the local tournament circuits. With the ALL-NEW Z-6, there's longer anything standing in your way. 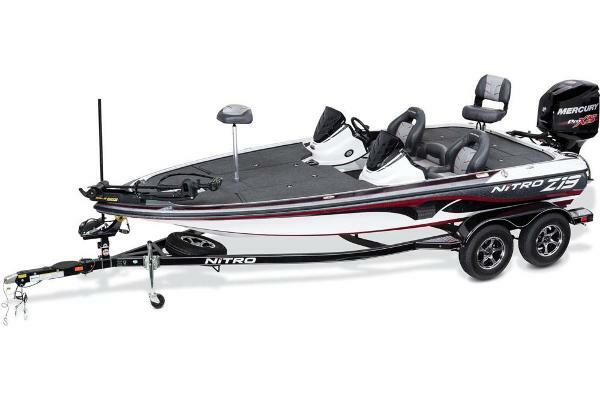 At a solid, stable and smooth-riding 17' 6" (5.33 m) long, this nimble bass boat has all the great features anglers need to enjoy fishing success, whether in a tournament or just a Saturday morning run. Onboard, you'll find a high-performance Lowrance Mark-5x fishfinder set conveniently into the dash. 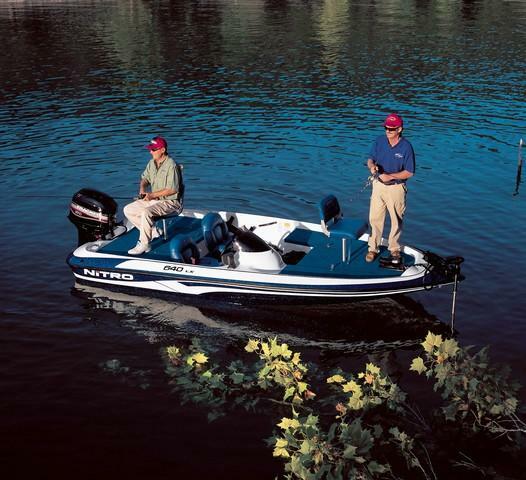 The bow MotorGuide trolling motor features a foot control for intuitive use. And the extra-wide fore and aft casting decks hold massive amounts of storage room for all your rods and gear. Professional-level equipment and performance at a value any angler can appreciate. Isn't it time you started making your "I did" list? 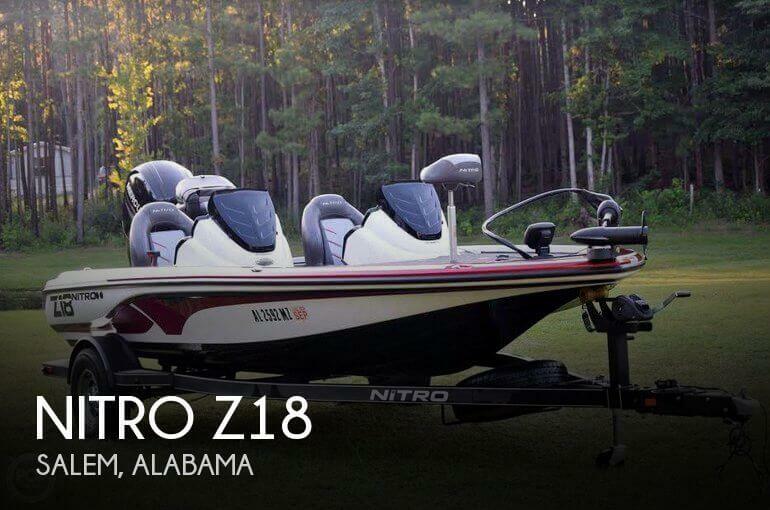 2015 Nitro Z-8 2015 Nitro Z-8 with a 2015 Mercury 250 ProXS (26 Tempest prop), 112lb Minnkota Fortrex, Hummingbird 999ci (dash), Hummingbird 798ci (bow), removable dual console, very low hours, Nitro boat cover, warranty till 10/27/2019, always garage kept, showroom conditon, blue water led deck lights, blue underglow trailer lights. 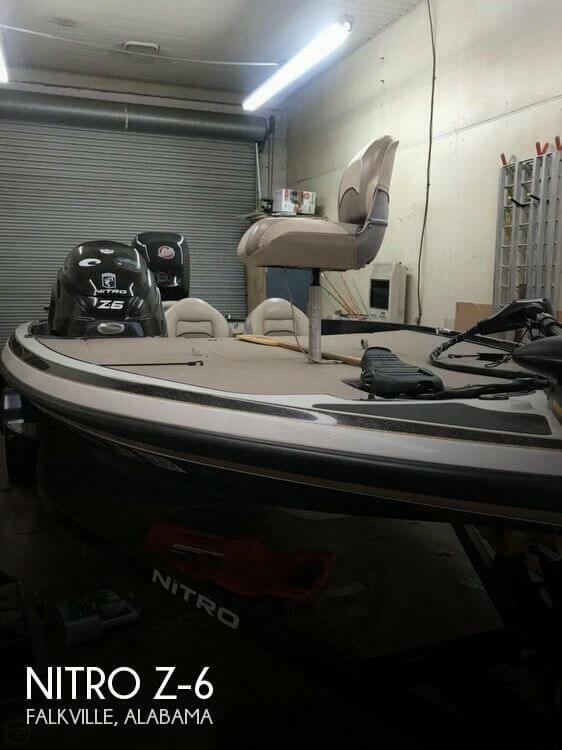 2001 Nitro 640 LX 2001 NITRO 640LX WITH MERCURY 90 AND TRAILER...NEW MOTORGUIDE TROLLING MOTOR 46LB ,LOWRANCE FISHFINDER AND BIMINI TOP..RUNS GREAT..LOCAL TRADE IN!! 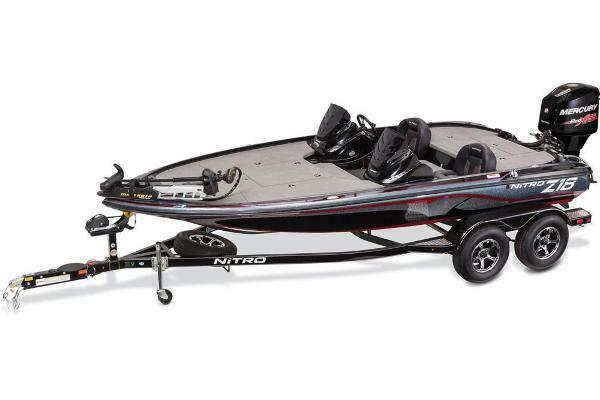 The Nitro 640 LX offers the best of the basics, without compromising a thing. The full-featured 640 LX comes in four great color combinations. 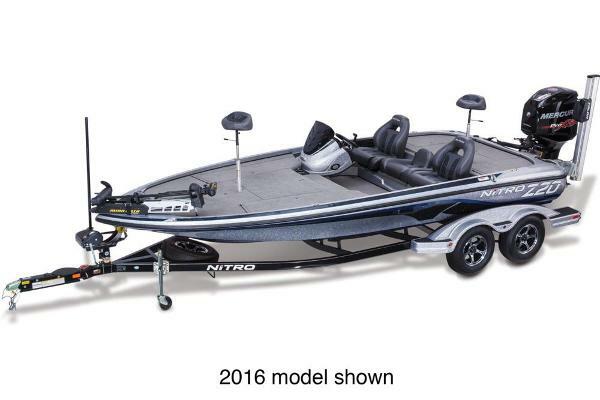 This boat is as tough as they come and is loaded with features expected from Nitro: an aerated, divided livewell with rounded corners to keep fish healthy, two batteries, two carpeted rod lockers that hold up to seven-foot rods, passenger rod ramp, Flow-Rite aeration system, and plenty of fishing room with 37 square feet of deck space. The seats are made from marine-grade vinyl that resists fading and cracking. 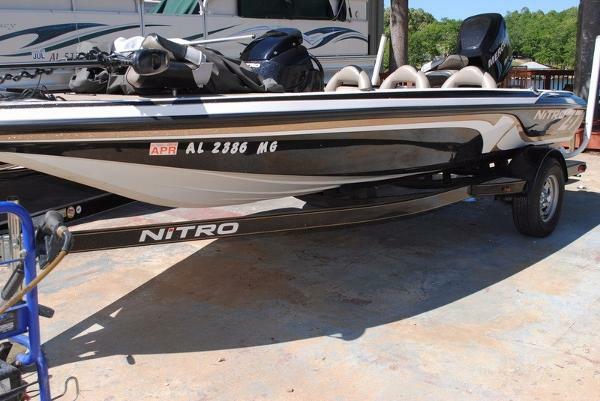 2012 Nitro Z-6 115 Merc ProXS with less than 100hrs. At a nimble, smooth-riding 17 feet 4 inch (5.28 m), this boat is absolutely chocked full of features. 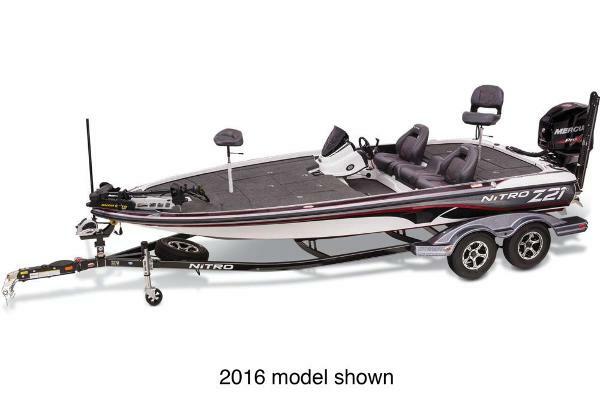 Just a few include the in-dash Lowrance Mark-5x Pro fishfinder, powerful Minn Kota® trolling motor, fore and aft storage compartments, an aerated livewell, custom trailer aluminum wheels and even a molded-in cooler! Hummingbird gps/side image/down image/color graph in dash and depth finder bow mounted. The Humminbird 798ci HD SI combo an internal side imaging/GPS combo. Features side imaging, down imaging, and DualBeam PLUS sonar with 4000 watts PTP power output. This fish finding combo has GPS chartplotting with built-in ContourXD map, and advanced fishing system capabilities. Boat has been well taken care of and needs nothing to get on the water prepping for the spawn.